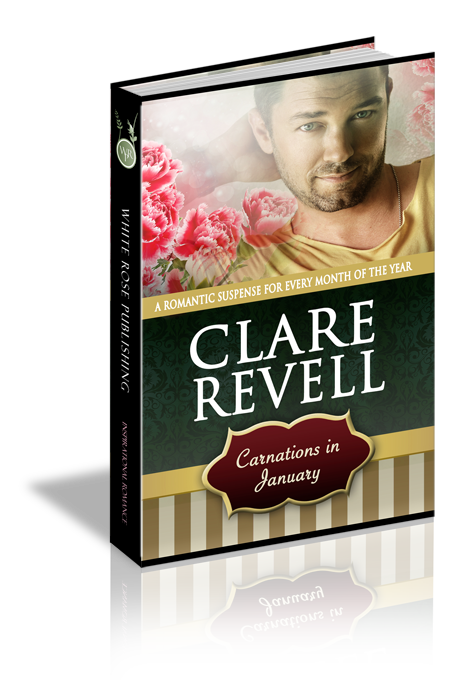 After Grace Chadwick receives a surprise inheritance from her aunt–a house and a florist shop--she moves in after the funeral. While she doesn't know the first thing about flowers, she sees this an answer to her prayers--the new start she desperately needs. When Elliot Wallac drops by his new neighbor's house with casserole, he finds the house next door has problems. Damp walls and a sagging floor set his builders senses on alert. But this house needs more than a cosmetic fix, inspection reveals more extensive issues. Like Grace's spiritual life, the house is suffering from neglect at the very foundation. With God's guidance can Elliot help Grace repair her home and her faith before both are condemned? It was raining. Grace Chadwick sighed. It had seemed to do nothing else since the phone call came. Even the weather was in mourning. The constant rain, which had lasted the entire funeral, had at least eased to a drizzle as she left the church hall. There was nothing sadder than a funeral in the rain. Especially at the graveside burial, where water thudded against black umbrellas, almost drowning out the pastor’s words. The tarmac shone like silver where street light hit puddles of the chill, saturnine December rain water, as Grace walked across the car park with her parents, her brother, Rick, and sister, Faith. A pool of oil lay on top of the largest puddle, its rainbow out of place in the grey, wet murk surrounding it. Stepping into the puddle, she watched as the rainbow twisted, fractured and vanished. Quite apt. Hope, her baby sister, had run away nine years ago, leaving her family torn apart by shattered dreams and fractured rainbows, as four siblings became three. Ironic, if she thought about it, the way losing Hope had destroyed them. No one had been the same since—just as they’d never be the same again now. Yes, she’d lost her favorite aunt, but the way she was thinking made it sound like the loss was a husband or boyfriend. Or even that they’d just buried Hope—although in some ways that would be a relief as at least they’d know what happened. Aunt Tilja, her father’s oldest sister, was the last of her aunts. The only family members she had left were walking with her, her brother and sister by her side, her mother and father lagging behind. Her aunt died on December twentieth. Holding the funeral during the week between Christmas and the New Year seemed to make the occasion even more somber, but there was no point putting off the service. Aunt Tilja was the one person who’d listened to her. The one person she could rely on who would be there for her. The only person…and now, she was gone. “OK, if you’re sure.” Faith didn’t look convinced as she returned the embrace as best she could with her arm in a sling. “I’m sure.” Now was not the time but she couldn’t bear to lose anyone else, and Faith’s boyfriend was dangerous. “Faith, promise me you’ll leave Damien. He’ll only hurt you again.” She whispered low only for her sister and brother’s ears. Several hugs and “love yous” later, Grace stood in the rain and waved as the car drove away. She opened her bag and rummaged for her keys on the way to her vehicle. Hmmm, they weren’t where she usually put them. She dumped the bag on the bonnet of the car and, heedless of the wet surface, emptied out the contents. No keys. She pushed a hand through her long hair, which from the reflection in the windows, now resembled dark rat’s tails more than the soft, pale brown curls she’d spent ages doing that morning. Now what? She turned, but her parents’ car was out of sight. She rummaged for her phone...but could see it was in the passenger seat of her car. Everyone had left. She was alone, with no way of getting across town, other than calling a taxi. And even if she did, the house keys were on the same key ring as the car keys. While that had been such a good idea at the time—only having the one set of keys to worry about—it now seemed not so good in hindsight. She shoved everything back into her bag. Breaking into her new home had not been on the agenda that morning, but it didn’t look as if she had an alternative. She raised her eyes from chest level, up past the black suit and tie, into the bluest eyes she’d ever had the good fortune to look into. Carelessly brushed brown hair framed his face. Her breath caught in her throat, while her mind screamed wow over and over. Then she caught herself and anger briefly flared. This was her aunt’s funeral. She was here to grieve and say goodbye, not to ogle up the local men. Especially when she wasn’t interested in anyone. Her new start definitely did not include a relationship. She was single and that was the way she’d stay. “These were on the floor in the church hall.” He held out a set of keys. “And you.” Grace unlocked the car and began the three-mile drive from the church to Aunt Tilja’s house. She still wasn’t sure why Aunt Tilja had left the house, shop, and all the contents solely to her in the will. Carnation Street Florist, named after the road on which it was situated, sold flowers for all occasions, including by post. Grace had taken a six-month sabbatical from the accountancy job she hated to take over the florist. If things worked out in Headley Cross, she’d hand in her notice. This was intended to be the new start she’d wanted. A chance to be her own boss. After all, at thirty it was a long time coming, but she wanted to do something useful with her life. The problem was, however, she knew nothing about flowers—whether growing or arranging them, or simply wrapping in cellophane and selling them. Grace swung onto the drive in front of the bungalow and turned off the engine. She gazed through the rain splattered windscreen. The house hadn’t changed. With the pebbles over the top half of the brickwork, bow windows with peeling royal blue paintwork, and red tiled roof, it looked the same as she remembered. She took a deep breath. Sitting here for the rest of the day wasn’t an option. She pressed the button on the dash to open the boot and then got out of the car. Lugging her two cases to the door, she dumped them on the small porch. Before she put the key in the lock, she remembered how as children she and the others had always rung the bell twice whenever they visited. That way Aunt Tilja knew it was them. Her finger hovered over the button before pressing it twice for old time’s sake. The familiar chimes echoed in the silent house; only this time no one came to answer. Grace opened the front door and wrinkled her nose. Instead of being filled with the smell of fresh bread, coffee, and baking, the bungalow smelled damp, old, and empty. She ran her hand down the wallpaper which had been there as long as she could remember. It, too, was cold and damp. As if the house itself were weeping. For a moment, she thought she heard voices calling, but knew they weren’t real. They were just memories of many happy weekends, Christmas dinners, birthday parties, Sunday lunches, and high teas. Tears ran unchecked down her cheeks. She couldn’t do this. She’d made a mistake in even coming here. She let out the breath she held and mentally shook herself. This was her house now—and she owned it outright. She’d only lived with her parents or rented in the past. And moping in the hallway wouldn’t get anything done. Aunt Tilja would be the first person to tell her that. Grace set her cases down in the second bedroom and returned to the car. It took a further five trips to bring in the remaining bags, her laptop, and the two boxes of groceries and assorted bits and pieces she thought she’d need. Even then, she was sure she’d forgotten to pack something. She nudged the front door shut with her hip and took the last box through to the kitchen. Then she wandered through the rest of the bungalow, checking the fires and lights, making a mental note of the ones that didn’t work. The clang of the doorbell made her jump. For a moment, she waited for her aunt to answer it. With an ache of grief, and a few more tears, she padded along the wood floors to the doorway. Grace rubbed her hands under her eyes, hoping she didn’t look too much of a grief-stricken wreck. She wiped her hands on her skirt and sucked in a deep breath. She could do this. “If it’s not too much trouble, I’d love some. Thank you.” He followed her into the house. She once again pushed the door shut with her hip, because that was how Aunt Tilja had always done it, and carried the dish to the kitchen. Carefully unwrapping it, she took off the lid and peeked. How could he know? The aroma of her aunt’s chicken stew, complete with leeks, potatoes, carrots, and dumplings wafted to her. All too familiar tears filled her eyes. Her favorite meal provided by someone she didn’t know. Grace blinked hard and turned to hide the tears. She flicked the gas on under the kettle and hit the ignition button.